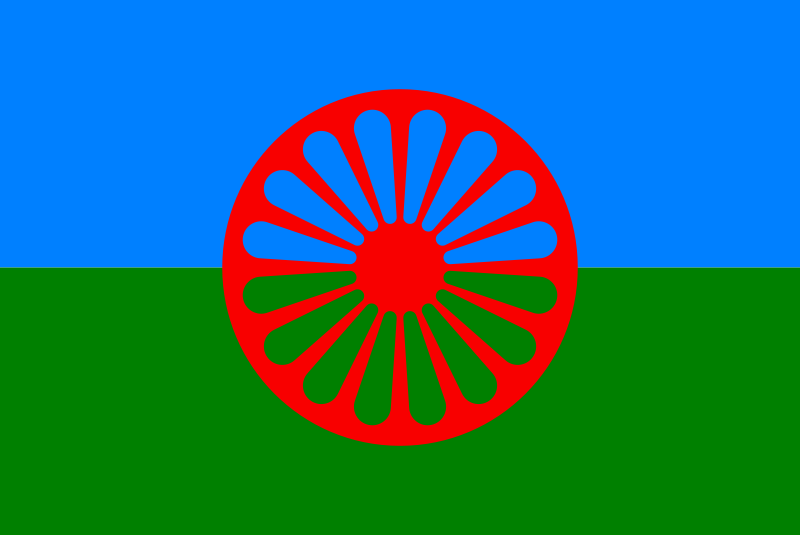 In this guest piece Damien Walshe, long term anti-racist activist, takes the opportunity to reflect on what happend in the last week when State authorities acted to take away blonde children from their Roma parents. A standard response (and the one trotted out by the Minister for Justice) is that it was best for the HSE/Gardai to err on the side of caution: “better be safe than sorry” has been the mantra. Okay, let’s have a look at that statement: What the danger was established in order to abduct the two Roma children from their families? Under the Child Care act children can be taken into care if a child has or is being assaulted, ill-treated, neglected or sexually abused, or whose health, development or welfare has been or is likely to be impaired or neglected. No one has remotely suggested this was the case for either child. If it was, then why did the Gardaí/Health Service Executive(HSE) not remove the other children from their homes? Is it because they were not blonde? Or are darker-skinned children not as important? It is pretty easy to establish that even if there was a suggestion that the people raising these children were their non-biological parents, does that establish that the best thing to do is to rip them from their families and traumatise them by placing them in care? Were the DNA samples so vital, could that not have happened discreetly over the next 72 hours without having 20 uniformed Garda arrive at the girl’s house in Tallaght? And, if you take the line of guttersnipe Mick McCaffrey of the Sunday World (vying in public with Paul Connolly for the dubious “honour” of breaking this story) that “the Roma Gypsies” (as he called them repeatedly on Prime Time) are transient in nature, could the parent’s passports not be taken until parentage was established? Let’s even put that to one side and ask a perfectly reasonable question: were it a white-couple who were rearing a child who didn’t resemble them (not an unreasonable situation- many couples in Ireland have adopted children from other countries, legally and illegally), would we expect 20 garda coming to the house, demanding documentation and, even if produced, that the child would be taken into care? It’s so laughable to even suggest it- yet for some people, it seemed like the perfect response, “better be safe than sorry” when it’s a Roma family, which tells you how central anti-Roma racism was to the whole affair. What has emerged is that the whole affair began with a post to the page of “investigative journalist” Paul Connolly of TV3. Paul has made his “reputation” for anti-Traveller documentaries with TV3, so we can probably guess in advance what his views or prejudice might be for Roma. The anonymous poster on his page alerted him to the fact that a Roma family in Tallaght, like the family in Athens, had a blonde child who looked nothing like them. Discarding any shred of his investigative prowess, Paul failed to notice that the tipster had stated that “I am from Romania myself and its a big problem there missing kids. The Romas robing [sic] them to get child benefit in Europe” and, if he had taken the time to investigate, he might have wondered that, given the scale of anti-Roma hatred in Europe and the spurious myths that exist about Roma “stealing children”, whether this anonymous poster on facebook was the most reliable source. A producer on his show saw this and she “had the wherewithal, thank god, to send it on to me”. Saviour of the blonde child, Paul Connolly was on the case and got in touch with the Gardai who swooped into action. One must ask the question: is this how the Gardai now operate? An anonymous facebook post to a “journalist” will now get the forces of the State into action? Worried about the criminality of Irish banks? Concerned about the lack of prosecutions of the political and economic elite in Ireland for putting the country into unsustainable debt? Worry no more- a quick Facebook message to Paul Connolly should see a whole series of men in handcuffs being frogmarched from the leafy suburbs of Dublin by the end of the day. “The hypocrisy of the Greek authorities in alleging child abduction and trafficking on the basis of no evidence whatsoever is stunning in light of the Agia Varvara scandal of only a decade ago. Five hundred and two Roma children “disappeared” from an orphanage in Athens where they had been placed. Despite demands to investigate the fate of these children, little was ever done. The Greek government have now removed the report that they submitted to the European commission from their website, with only the archived web copy remaining, in a blatant attempt to cover this up. This report makes for chilling reading. In particular, pay attention to page 3; the end of paragraph 2. So one blue-eyed child that plays into anti-Roma hatred and perpetuates an old stereotype: International media frenzy, calls for crackdowns, international witch hunt, copycat State abductions. Contrast that with 500 missing Roma kids: not a care in the world. And yet, you’ll still get plenty of people telling you that the system is blind to ethnicity. Sure it is. In this case we had a number of State organisations, the Gardaí, and the HSE, all immediately act on an anonymous tip off received via facebook to a renowned sensationalist journalist, which resulted in them separating one child from her family. Meanwhile in Athlone Gardaí separate a young Roma boy from his parents. Instead of an appeal for calm and one where the authorities should be allowed to conduct their investigation, and let us all see what evidence for these children being taken away, appears, the Minister for children, whilst the investigations were ongoing said “As Minister for Children, I would be encouraging people to report if they are concerned about children.” A statement like that is only going to fuel the growing hysteria surrounding such an emotive issue. But from what we know it was the Gardaí who tipped off the media. RTE covered the case by dispatching their Crime correspondent, Paul Reynolds who couched his report on Tuesday night in the usual cliches of crime correspondents. We were informed that the Gardaí “had prior dealings with the family”- which we all recognise as being the Crime Correspondent’s code for “into something dodgy”. So immediately the State broadcaster is letting people know that “these people” are up to something dodgy. What Paul Reynolds failed to mention is the reason that the family were known to Garda is that they had made numerous complaints about their house being targeted by racists- eggs and stones being thrown at windows etc. To cement his point, Reynolds then made the comparison to the case of Maria in Greece- surely, he is letting us know, there is something underhand at play. And he closed off the report with the information that the Gardaí had been in contact with Europol and Interpol. All in a days work for a crime correspondent, his job was done, there was sufficient grounds for his friends in the Gardaí to act this way, sure they were now talking with their partners in fight against international criminality. No coverage of this matter by RTE’s social affairs correspondent, Joe Little, he was probably out interviewing some Bishops about canon law. RTE and others informed us that the Gardaí were “unhappy with the providence of documents” such as birth certificates and passports . This was reiterated in other media, with the Irish Times saying that, when asked, they struggled to locate documents, but eventually found them. They also gave confused information about their daughters’ birth. Let’s pause it there for a moment. Imagine you’re a member of a marginalised ethnic group, who disproportionately have negative dealings with the police forces. You also know that a family who share your ethnicity have been arrested for the suspected abduction of a child. A child, who like your own, has blonde hair. Then 20 Gardaí arrive at your house. English is not your first language- so that might explain some difficulty in explaining your case. Another question: how many Irish parents can immediately locate passports and birth certificates of their children? Now imagine you have to do that with 20 Gardai in your house, terrifying your children. And now imagine doing all that while speaking in Rom. Yeah, for some reason, I suspect you might also find it tough. What was also paraded in RTE, Tv3 and the Times was the discrepancy between the parent’s birth date and records in the Coombe. Amazingly, one newspaper (the Independent) managed to get confirmation on the same day that there was a corresponding birth cert in the Coombe- the original problem was that it didn't correspond with the family's current address. Case closed, or should have been. No, the Gardai still had doubts: the child's passport photo was not 100% like the child. Again, without any form of expert analysis required, it might have been easy to check the date on the passport and make some sort of rational deduction that, like all other children, Roma children do change in appearance as they grow older. 2. It was a racially motivated action, based on the case of Maria in Greece. When people start talking about the HSE/Garda only “doing their job” and not seeing the race element to this case, they need to seriously step back and ask questions about the timeline of this sorry debacle. Let us move onto another crime correspondent, Mick McCaffrey of the Sunday World felt the need for some more evidence, or at least expert opinion, so he mentioned that the gardaí had felt the need to talk to some expert. “He explained that gardaí actually went as far as to contact a hospital consultant to determine if it was possible for Roma people, who typically have very dark features, to give birth to a blonde child. The coverage of the story only continued to fuel hysteria and paint a picture of inevitable criminality on the part of the family involved. The question remains why did this happen. The answer remains there is a deep propensity for racism within the institutions of the State. In Mcpherson’s definition arising from the Stephen Lawrence enquiry where “the collective failure of an organization to provide an appropriate and professional service to people because of their colour, culture, or ethnic origin.” In this case the Roma family were being singled out for delivery of a very specific service which the gardaí reserve for criminal investigations. The HSE role cannot be ignored in all this. What kind of service was it providing to the family. As it is our understanding that the removal of a child from the family is a matter of last resort and can only be done when there is as threat of the child being assaulted, ill-treated, neglected or sexually abused, or whose health, development or welfare has been or is likely to be impaired or neglected. These decision would be based on evidence, normally gathered by the HSE itself. The question remains what happened in these cases and who decided to implement the “nuclear option” of removing the child. Rather than the Gardaí talking to some hospital consultant who appears to be unenlightened about recessive genes, one might think that it was the role of the HSE who might have a pre-existing relationship with this family to consult someone in relation to the matter. But it appears that none of this happened. Instead, in a wave of hysteria not witnessed since the great outbreak of moving statues in the late 1980’s (another austere time) it appears that all the authorities threw off the shackles of rationality and went to their happy space of thinking of Gypsies as child stealers! What this is and was is a sorry revelation of institutional racism. It should be an embarrassment to the authorities involved and in a democracy we have this naive notion that someone should be held accountable. But our democracy is an Irish one where tribunals last lifetimes and no-one goes to prison. Our democracy is one where the government police checkpoints in industrial estates so as to catch people who might be working and not telling them. One where the message to the youth is to feck off if you’re going to cost us money and come back when you’ve made something of yourself for ‘the gathering’. A democracy where it suits the powers that be to set, old against young, sick against healthy, Irish against foreigner, working against unemployed, settled against Traveller, whilst those at the top continue as before bearing no responsibility for the mess we're in. As all Roma were forced to have records under the Nazis (held by the Criminal Police) their entire interactions with the State were recorded: here is the closing one from a young Gypsy girl. Antoine came to Auschwitz with one of the last transports from Germany. She was entered in the camp main register with the number Z 10803. After that, nothing is known of her fate." Well done for publishing this WSM, a great article. This was a scandalous event that has shown the levels of institutional racism we have in Ireland. Really shows up the attitude that the Garda were between a rock and a hard place to be absolutely rubbish. Policing went out the window and this was pure and utter anti Roma racism. Many believe that minorities don't care for or look after their children so when something like this happens they think it is ok to throw out the rule book and due process doesn't apply to minorities. Well done Damien W for exposing the hypocrisy of this situation. Best analysis/opinion piece I have seen on these sordid state abductions. Shocking to read some of this. Sharing it online and talking to my family about it.